Celebrating success at the NT Training Awards! Two trainees at ConocoPhillips’ facilities in Darwin have taken home awards at this year’s NT Training Awards! 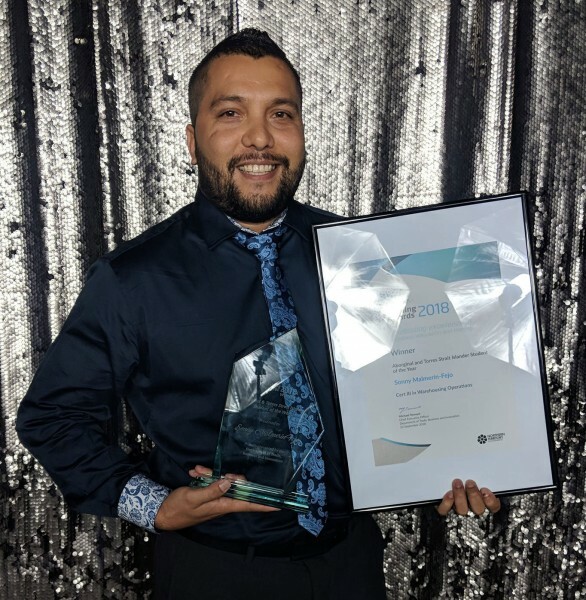 There’s plenty of celebrating happening, as two trainees at ConocoPhillips’ facilities in Darwin have taken home awards at this year’s NT Training Awards! 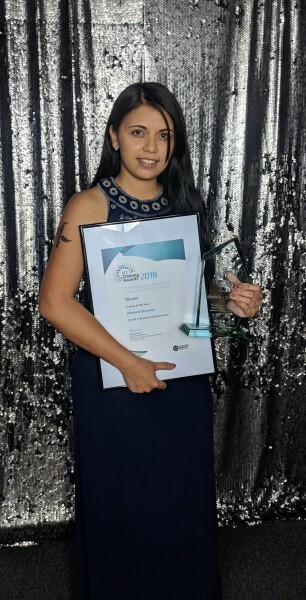 Sonny Malmerin-Fejo, Warehouse Trainee at Darwin Supply Base, won the Aboriginal or Torres Strait Islander Trainee of the Year. Sonny has completed his Certificate III in Warehouse Operations and his traineeship, and continues to work at the Supply Base with Qube. An enthusiastic team member, Sonny has an infectious hunger for learning new skills. The Trainee of the Year award went to Kim Brewster, Admin Trainee at Darwin LNG! Kim’s drive and commitment saw her complete a Certificate III in Business Administration, before jumping straight into a Certificate IV. Kim’s determination for a brighter future for her family is what keeps her aiming high! The NT Training Awards are an annual premier event that recognises training excellence and achievements. The awards offer finalists the chance to gain personal satisfaction and access opportunities in their industry, becoming part of an elite group of ambassadors who represent the Territory’s best in vocational education and training. Kim and Sonny’s traineeships were delivered in partnership with Programmed Skilled workforce, and they’re now off to Sydney in November to represent the NT at the National Training Awards!